Founded in 1824, the Vista Alegre Porcelain Factory was the first industrial unit dedicated to producing porcelain in Portugal. The persistence of its founder, José Ferreira Pinto Basto, was determining to the launching and success of this daring enterprise. A landowner, audacious merchant and distinguished figure in Portuguese society at the time, José Ferreira Pinto Basto wisely adopted the liberal ideas of the 19th century, having become “the first example of free initiative” in Portugal. José Ferreira Pinto Basto started by acquiring the Ermida Farm, located near the town of Ílhavo, by the Aveiro Stream, in 1812. In 1816, this entrepreneur acquired the Vista Alegre Chapel in a public auction, as well as the surrounding grounds, where he would later build the Vista Alegre Factory. 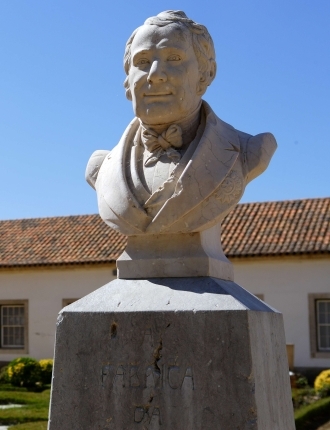 In 1824, José Ferreira Pinto Basto submitted a request to King João VI to “build a large earthenware, porcelain, glassware and chemical processing factory, for all his sons, as stakeholders on an equal basis, on his Farm, named Vista-Alegre da Ermida”. 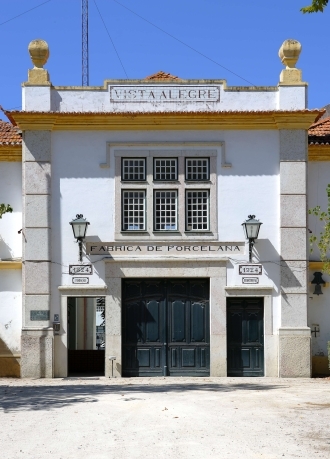 On 1 July 1824, a Royal Licence issued by King João VI granted José Ferreira Pinto Basto authorisation to build the Vista Alegre Porcelain Factory. A mere five years later, Vista Alegre gained the title of Royal Factory in recognition of its artistry and industrial success. The factory started by producing glassware and soapstone pottery, since the composition of porcelain clay was still unknown. The factory produced high-quality glassware, particularly pieces with relief decorations, engraved patterns and ornate borders, as well as delicately engraved medallions. In 1880, Vista Alegre ceased its glassware production to focus exclusively on porcelain. In order to overcome difficulties related to porcelain production, Augusto Ferreira Pinto Basto, the founder’s son, visited the Sèvres Porcelain Factory in France, where he studied the composition of porcelain clay and acquired knowledge that would be crucial to the discovery of large kaolin deposits to the North of Ílhavo, in 1832. Regular porcelain production between 1832 and 1840 led to significant improvements in the quality of porcelain and glass. Production also benefited from technological progress. Additionally, the hiring of international master craftsmen with extensive experience in ceramics allowed the training of local artisans, who became highly qualified in porcelain production. In 1851, Vista Alegre participated in the Universal Exhibition at Crystal Palace, in London. In 1867, the company achieved international recognition at the Paris Universal Exhibition. In 1852, a complete dinner set was produced for the Royal House, following a visit by King Fernando II to the Vista Alegre Factory. Greater industrial development was witnessed in the following years. Styles became simpler, acquiring lyrical and romantic undertones, and new mechanical decoration techniques were introduced. However, the turn of the century marked the start of a business downturn. The social crisis and political unrest felt over the entire country led to serious difficulties for the company, which were further aggravated by poor commercial management and a lack of defined artistic trends. These difficulties would persist until the beginning of the 20th century. The company would enter a recovery period with the appointment of João Theodoro Ferreira Pinto Basto as Deputy Director, in 1924. Industrial development and business growth were accompanied by an artistic revival. Modern styles, such as Art Deco and Functionalism, revealed the company’s ability to adapt to the social and aesthetic changes that characterised the beginning of the 20th century. This successful period would be consolidated in the following decades. Industrial restructuring allowed the company to increase profitability and its ability to meet increasing demand and face market globalisation challenges. On the other hand, the company’s highly specialised manufacturing activities, based on the know-how of its artisans and on its centenarian traditions, allowed the Factory to maintain its leading position amongst the most prestigious European manufacturers. Between 1947 and 1968, increased exports, installation of new equipment, increased focus on training of specialised technicians and cooperation with European peers led to a marked technical development, which allowed the company to expand its business to new markets. A tradition of producing exclusive pieces was started, of which a dinner set produced for Her Majesty Queen Elizabeth II is a prime example. Collaboration with contemporary artists also became increasingly frequent. The Vista Alegre Museum, opened in 1964, boasts a collection of pieces that bear witness to the long and rich history of the company. 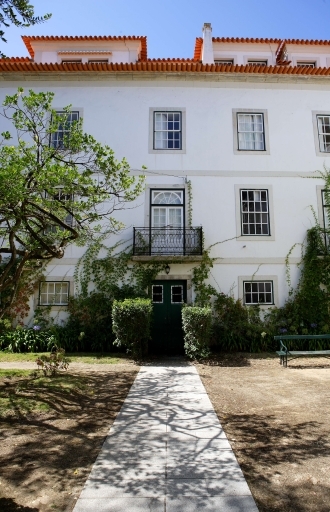 In 1985, the company opened the Vista Alegre Art and Development Centre (Centro de Arte e Desenvolvimento da Empresa – CADE) in order to encourage the creation of new pieces and decorations, as well as promote painting and sculpture training. The Collectors Club was also created in 1985. This club, which was limited to 2,500 members at the time, reflects the importance of Vista Alegre in the art market. In the late 1980’s, Vista Alegre pieces were displayed in relevant international exhibitions, at locations such as the New York Metropolitan Museum of Art and the Royal Palace of Milan, which definitely contributed to spreading the brand’s reputation worldwide. In 1997, Vista Alegre’s operating income nearly doubled following amerger with ceramic group Cerexport, namely in international markets. In May 2001, a merger between the Vista Alegre Group and the Atlantis Group brought glassware and crystal back to the company and resulted in the largest tableware group in Portugal and the sixth largest group in the world within this sector, the Vista Alegre Atlantis Group (VAA Group). This holding operates in areas as diverse as tableware, decorative porcelain pieces, hotelware, chinaware, ovenware, crystal and handmade glass pieces, as well as retail and distribution networks. In 2009, the VAA Group became part of the Visabeira Group portfolio, following a public takeover offer by the latter for the representative share capital of the VAA Group. Nowadays, Vista Alegre is more than a mere industrial unit. 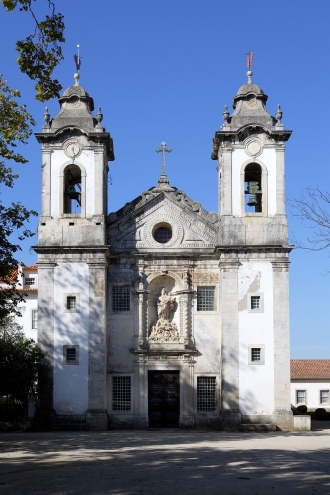 It is also part of the Portuguese heritage, boasting buildings of undeniable architectural interest, and a repository of social and artistic memories essential to the building of a Portuguese identity. The first Atlantis crystal pieces were produced in the town of Alcobaça in 1972, at a factory known at the time as Crisal – Cristais de Alcobaça (Alcobaça Crystals). This factory, which followed the old traditional Portuguese glassworking techniques, was already known for producing some of the best handmade lead crystal pieces in the world. The Alcobaça factory, which had been producing crystal chandeliers and glassware since 1944, was adapted in the early 1970’s to produce superior quality lead crystal. 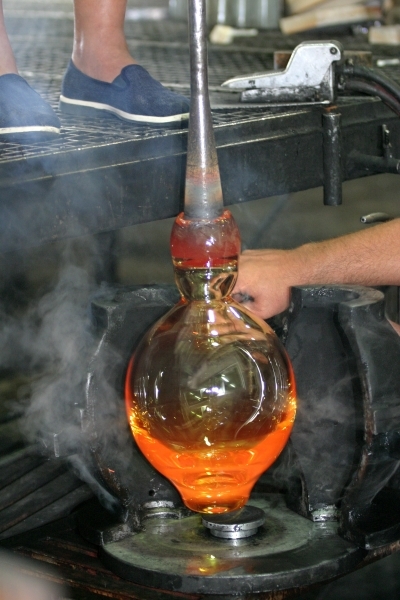 Nevertheless, all production activities continued to be performed manually, in an effort to preserve the millennial knowledge of artisans and the glass blowing and moulding techniques of yesteryear. The quality of Atlantis crystal had a profound impact on consumer perception. Little by little, consumers started to value Portuguese crystal. The pieces produced at the Alcobaça factory progressively gained the trust and preference of Portuguese and international consumers. In 1974, exports already accounted for 50% to 75% of income, with special emphasis on the North-American market. The success achieved in North America opened doors to other markets. With 500 employees and a greater production capacity, Atlantis expanded its business to approximately 20 countries, having achieved global visibility. In 1985, Atlantis built a new factory at Casal da Areia, in the Alcobaça Council, in order to meet the ever increasing demand for quality products. The merger with the Vista Alegre Group, in 2001, was a determining factor to business expansion. In the 21st century, Atlantis continues to affirm its presence in the main international markets and to be universally recognised as the manufacturer of one of the purest crystals in the world, combining traditional knowledge with the best in contemporary design. The undisputed leader within its sector in Portugal, Atlantis, a Vista Alegre Atlantis Group company, continues to focus on its expansion strategy, by targeting new markets and consumers.